App Advice for the Special Needs Community. Please join us over on our new Website www.appabled.com where you will find all of our current reviews and giveaways in. Make sure you follow us on Facebook and Twitter as well. 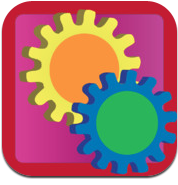 AppAbled ~ Hoping to make the World of Apps a little bit clearer for those with Special Needs. 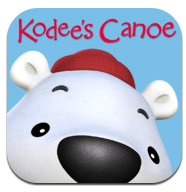 Kodee's Canoe Flashcards is the latest instalment in the world of Kodee from Nitrogen Studios. 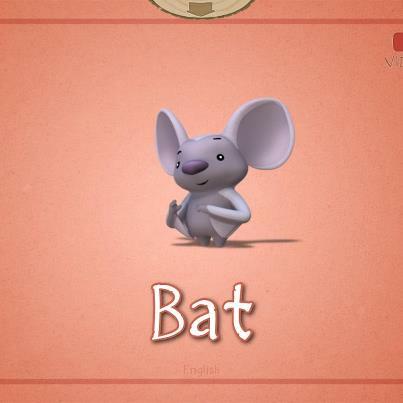 The app consists of over 60 interactive flashcards with stunning 3D and CGI animation. 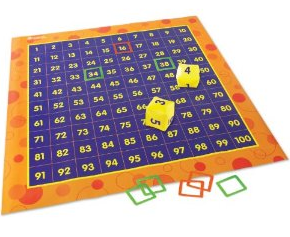 It quite simply is the best fun any kid could have whilst learning their letters. It comes in three different languages namely English, French and Spanish. 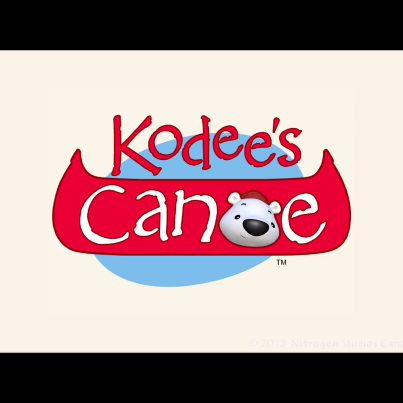 © Nitrogen Studios Canada Inc.
Kodee's Canoe Flashcards is created by Nicole Stinn and Greg Tiernan. 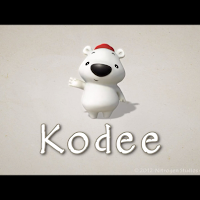 I am a huge fan of Kodee's apps. I tried this app out with the help of my 5 year old daughter. She loves it every bit as much as I do. 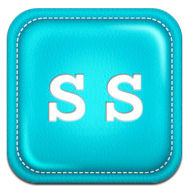 We mainly use the default mode of the app which shows the letters in alphabetical order. You can swipe left or right to change the letters and up and down to change the language settings. The star of the app is Kodee himself but there are so many other characters and items to discover as you progress through the app. 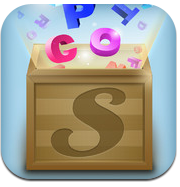 Each letter of the alphabet has a number of flashcards given over to it. 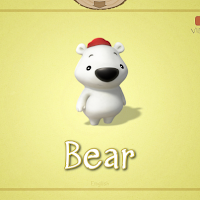 For example the letter B includes Bear and Bat . 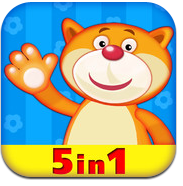 The biggest draw of this app for children is its interactive features. Each card gives off a different sound or action. One of my favourite ones is the Cave. 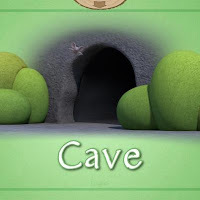 When you tap on the picture you hear a loud echo and a bat flies out of the cave. This is just one of many examples. My daughter was particularly drawn to the waterfall and flower in the app. Now I have to confess I am easily won over by animation. Yes it is a big selling point of an app for me. However animation must be backed up by educational quality. Nature Flashcards is certainly of a high educational standard in my book. Children get so fed up of learning the alphabet over and over, and word association can become a very monotonous task for them. However, when you present a child with an alphabet that allows you to make a fire, or create ripples in a waterfall then you have heightened their enthusiasm levels no end. 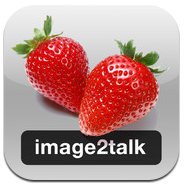 A feature which I particularly liked about Nature Flashcards is that you can enable video streaming. It is very easily deactivated if required as well. 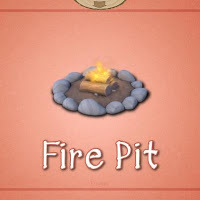 If a card carries the interactive feature you will see the word video written on the top right hand corner of the card. Simply click on it and it will open up a You Tube link of one of Kodee's little educational videos. Therefore the app not only teaches your child the alphabet and word association but it also gives them a certain level of information on nature and science topics as well. Take a peek at the ladybug video from the app below. 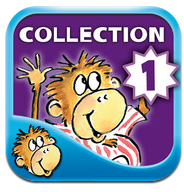 If you are finding it hard to believe that an Flashcard app could be this good then take a quick a look at this You Tube link and you will see for yourself what children everywhere are enthralled by the app. 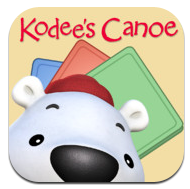 Kodee's Canoe Nature Flashcards teaches children about the sights and sounds of nature. 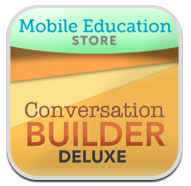 The combination of science, nature and literacy is what makes this app stand out from others on the market. Nature Flashcards is an exceptionally good learning tool for children. The app will enable your child to work on areas such as word and letter recognition which are important aspects of a child's education. Children with Special Needs will love this app as the interactive features and constant feedback they receive from the app can be a great reinforcer. 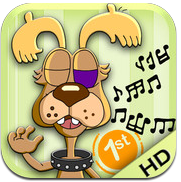 The animation is incredible and the interactive features are unlike any I have seen in other apps of this kind . 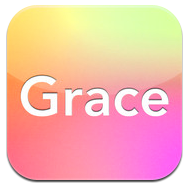 I can't wait to see what app Kodee comes out with next. You can visit their Facebook page by clicking her - Kodee's Canoe or their website by clicking on this link - Website. 1 x The Maglus magnetic stylus with Removable Tip System. We have one Chat Bag to give away from the *NEW RANGE*. Winner can pick which ever one they like from their website Chat Bag . 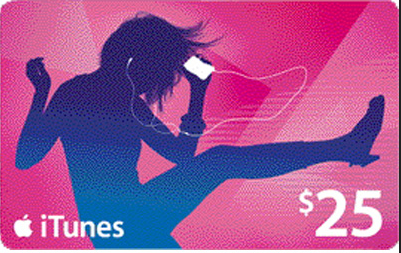 1 x $25 iTunes card or local currency equivalent. Q. Hi Megan. Welcome to AppAbled. Can you please tell us a little bit about yourself and you how got into the App business? A. Thanks! I'm a Speech-Language Pathologist (both American and Canadian) specialising in stroke rehab. 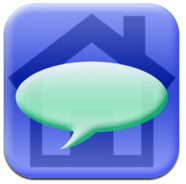 I started developing apps to fill the void of quality apps for adults and older children who are working on basic communication skills without needing childish graphics. Q. When was Tactus TherAppy Solutions founded ? A. I partnered with a friend and computer programmer in March 2011 to form the company. Two months later, our first app was launched. We're nearly ready to celebrate our 2nd birthday! 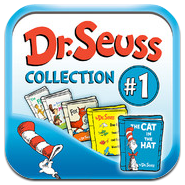 By March of this year, we'll have 8 unique apps, 1 bundle, and 3 lite apps on the App Store. Q. Is there a story behind the choice of the name ? A. Tactus means "touch" in Latin, and since we develop only for the touch screen, it seemed to fit. We hope to provide therapy solutions as well - replacing hundreds of flashcards, worksheets, and other therapy tools with convenient apps that add value and interest to therapy. Q. How long does it take you to develop each app ? A. Each app is a little different, but at first we were doing all the development while working full-time jobs elsewhere, so it took 2-3 months per app. Now we've dedicated more time to app development, so we're hoping to put out more apps in less time and create more innovative apps. Q. What does Tactus have in store for us in the future? A. So glad you asked! Our next app is due out in a few weeks and we're busting with excitement! 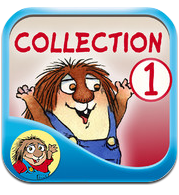 Speech FlipBook is a new tool for articulation and apraxia therapy as well as phonological awareness and reading. 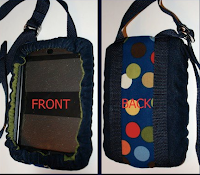 It can be used by SLPs, parents, teachers, and people of all ages. We'll be releasing the app along with instructions and videos on all the different ways to use it. Q. How many people do you have working at Tactus? A. We're a small team of 3 who do nearly everything in-house. Our programmer is the co-owner of the company, Ben Carter, and our graphics are done by my husband, Cliff Sutton. I lead the app design, content and marketing. Q. 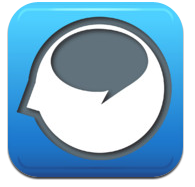 Do you have a favourite Tactus app? A. Can you pick your favourite child? ;) I love them all. I'm always amazed at how many new uses I can find for each app for different clients. Comprehension and Naming are particularly useful for my work and hold a special place in my heart for being first, though Visual Attention and Category TherAppy are quickly becoming my new favourites. Right now I can't stop thinking about Speech FlipBook though, so it's a toss up. Q. Who Beta Tests your apps for you? A. Until recently, we did all testing in-house and with my clients on a rehab unit and in community groups. 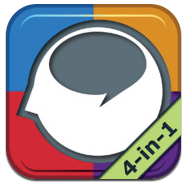 We've recruited 4 talented SLPs to beta-test Speech FlipBook and are getting amazing feedback. We will probably be expanding our beta-testing network in the future to keep improving our apps and development process. 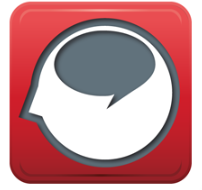 A. I'd just like to encourage everyone to keep in touch with developers to report problems, make suggestions, and give feedback as often as possible. We love hearing how our apps are working or how we can improve them. It's also really nice when you leave a little love on the App Store too :) Thanks so much for having us as your Developer of the Week! The 2 receptive language apps in our Language TherAppy suite. 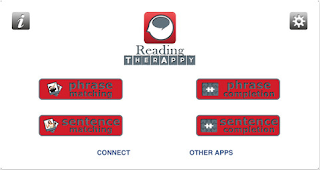 Now fully customizable, these apps work on reading comprehension at the word, phrase, and sentence level as well as auditory comprehension at the word level. 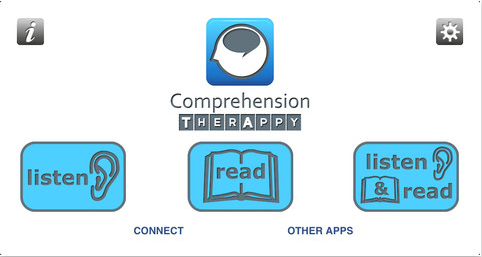 Comprehension TherAppy now has hints built-in along with customization, foward and back buttons, and a word list for even more control. Reading TherAppy has new improvements as well, such as adjustable field size, answers are left in place for discussion, and ability to turn on/off any item plus adding your own. 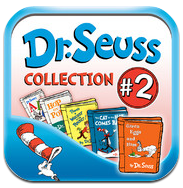 We have two copies of each app to give away. Please enter via the Rafflecopters below.